The following covers our Featured Wine Sale of the Week from 9/4/18-9/9/18. 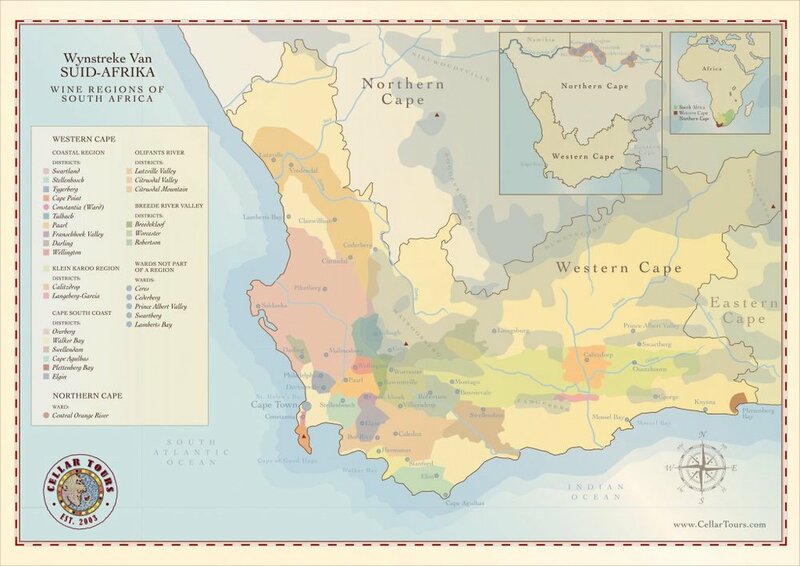 We've touched upon the history of wine in South Africa in a previous installment, where early Dutch colonization led to the establishment of the most historic vineyards in the country, back in the late 1600s. But the wine world is ever changing and the desire for unique wines and fresher styles is the driving force for producers all over. South Africa is no different. Still, there is a healthy demand for regional recognition, and the Western Cape of South Africa still reigns supreme in the view of "saffa" winemakers. It is there where we find perhaps the most prominent wine region, Stellenbosch, and it's the home of our latest favorite winemaker in the country, Craven Wines. The globalization of wine is perhaps no more evident than in the career path of the new crop of winemakers. The husband and wife team behind Craven, Mick and Jeanine Craven, met during a chance encounter at a bar in California, when both were in the state to help make wines at the WInd Gap Winery. Mick is originally from Australia, while Jeanine's family hailed from Stellenbosch. The pair soon finished their enological studies and moved to South Africa, founding Craven Wines in 2014. Some of the Craven Wines Vineyards. While Stellenbosch is recognized around the world for its capability for producing great Cabernet, Shiraz, Merlot, and Chardonnay, Mick and Jeanine wanted to elevate wine grapes that had been an important part of South Africa's development from the very beginning. Cinsault originated in France, in the Languedoc-Rousillon area where its resilience and high-yield made it a prominent feature in red blends and rose, and it made its way to South Africa by the mid 19th century when more French settlers arrived in the country. It was at one time the most widely planted wine grape in all of South Africa, as it was low maintenance and easy to harvest with mechanization. The only problem was the little demand for single varietal Cinsault, as it was most often buried in French blends and the world didn't associate the wine with higher quality and more internationally recognized Cabernet Sauvignon and Merlot. During this time, South Africa wine producers were largely controlled by a government run cooperative, and wines that didn't make a profit were often ripped out. But Cinsault had an important part in the development of South Africa's singular Pinotage. Thanks to some rather byzantine wine rules placed during a trade agreement with the French government, french wine varietals produced in South Africa couldn't carry their French names,. and Cinsault was renamed Hermitage. In 1925, Abraham Izak Perold,the first Professor of Viticulture at Stellenbosch University, created the Pinotage hybrid through a crossing of Pinot Noir and Hermitage (Cinsault), and the first commercial vintage was produced in 1941. Like the rest of the wine-growing world, plantings and popularity of this unique varietal rose and fell in relation to the ever popular "international varietals" of Cabernet Sauvignon, Merlot, and Chardonnay. While most vineyards were torn up and replanted with the current consumer trends, some vineyards were lucky enough to avoid total destruction, and were left untended. It was these types of vineyards that Matt and Jeanine sought to reinvigorate when they founded Craven Wines. Another wine from the Languedoc made its way to South Africa in the 16th century, thanks to the prolific Dutch Trade Company. Clairette was the grape used in a popular sweet wine called Picardan. South Africa had established its reputation early as a great place for making dessert wines like the Klein Constantia Vin de Constance, and at its peak, Clairette was planted in South Africa as much as it was in all of France. When dessert wines declined in popularity, plantings of Clairette dropped off in South Africa, as the grape had a tendency to lose acidity and oxide rapidly in cellar conditions. As such, many vineyards were ripped out in Stellenbosch before modern wine techniques allowed for winemakers to utilize Clairette properly. 'Some markets love this and some don't,' says Mick, talking of his Clairette Blanche. 'People love it when they try it, but it's hard to get them to try this.' One of the last, if not the last Clairette vineyard in the region, it was left without being farmed, and the farmer was just getting 1000 Rand a ton. 'The farmer laughed when we made it, and then we started again the following year, and it was farmed a bit,' says Mick. 'It's 34 years old this year, we think. John Seccombe, Franco Lourens and Francois Haasbroek takes some, and the other half goes to the coop. So it's now financially viable.' The vineyard is about 3 hectares, with decomposed sandy granite, opposite Reyneke in the Polkadraai. Craven's Cinsault is sourced from Faure, a hamlet located 16 kilometers of Stellenbosch proper and 3 kilometers away from the ocean. These high sloped vineyards have plantings of Cinsault that date back 25 years and the rocky soils feature a mix of granite, dolorite, quartz and shale. This Cinsault is packed full of fruit flavors and fresh, but with enough of a backbone that it's appropriate for the fall. 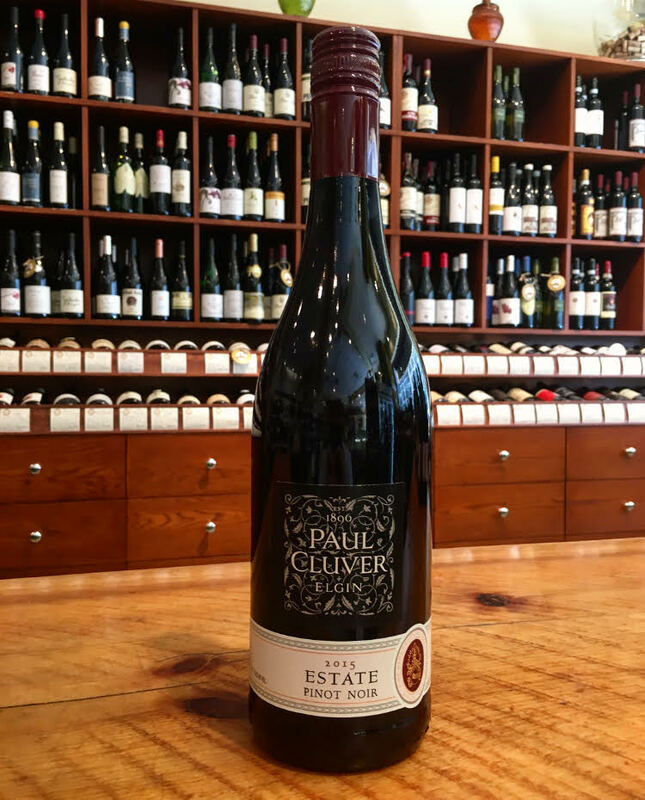 Just an hours' drive southeast of Cape Town, we find the Elgin Valley, where Paul Cluver has his family winery. The estate itself has been in the Cluver family since 1896, but the winery began production in 1997 when Cluver retired from his profession as a neurosurgeon to dedicate himself to reforming the reputation of South African wines after the fall of Apartheid. In this cool climate region, Cluver takes pride in growing Gewurztraminer, Sauvignon Blanc, and Pinot Noir. Next to the estate is the De Rust village, where most of the individuals who work the farm live, and it is a part of the Thandi Project, dedicated to community empowerment in South Africa. In addition to the vineyards and cellar, there are apple and pear orchards, a Hereford stud and eco-tourism activities, including amphitheatre concerts, on the farm. This estate forms part of the UNESCO world heritage site, the Kogelberg Biosphere. Half of the estate has been set aside for conservation into perpetuity. It truly is a family affair, with four out of Dr. Cluver's five children living on the estate and working for the winery.Paul Cluver IV is managing director, Liesl is marketing director, Inge is financial manager, Karin is production manager (orchards). Cellar master, Andries Burger, is married to Inge. flavours including tropical fruit, fig and green pepper. The soil is predominantly Bokkeveld shale. Slopes are of various aspects but mostly South and South East facing. Vineyards range in height from 280m to 480m above sea level. The total time spent on the lees is 5 months The Semillon component (10%) was fermented in a combination of stainless steel tanks, 3nd and 4th fill French oak barrels and a 2600 litre oak vat. plantings. Clones include 667, 777, 113, 115 and PN5. The first vines were planted in 1989 and the youngest blocks in 2009. Vines range in age from 6 to 25 years. The soil is predominantly decomposed Bokkeveld Shale with underlying clay layers of varying depths. Vine orientation is North/South on North east and South facing slopes and North west/South east on the South facing slopes. Height above sea level ranges from 280 to 400 meters.Extensive individual berry sorting was done by hand prior to crushing. This was followed by cold maceration at 12°- 14° Celsius for 5-8 days. The fermentation was allowed to start naturally. 80% was then inoculated with selected strains of Burgundian yeast, while the rest was left to continue naturally. During the fermentation, the skin cap was punched through by hand over 2 times per day. The wine was transferred to French oak barrels where malolactic fermentation took place. (15% new wood, the rest 2nd, 3rd and 4th fill.) Maturation in oak was for 11 months, on the lees for the full period. After tasting and blending trials, the wine was racked (displaced using Nitrogen gas rather than pumping), assembled and prepared for bottling.